We have been trying so hard to find amazing products for our Holiday Gift Guide this year. We have a great group of sponsors for product reviews. Several of them are participating in our Holiday Gift guide Giveaway and this is one of them. This is a great gift in the $10 - $25 range. They vary in prices depending on the age group and features you choose from. The price range is $9.95 to $24.95. 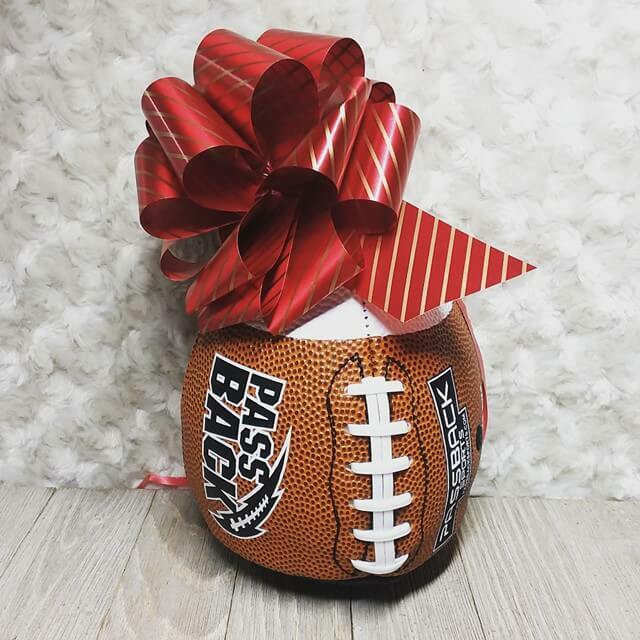 I am so happy to tell you that Passback Sports is participating in our Holiday Gift Guide Giveaway starting 11/26 to 12/10. The Holiday Gift Guide Giveaway has over $400 in prizes and 10 awesome prizes, 9 amazing sponsors. CLICK HERE to enter, feel free to share it with all of your friends and family, they will want to enter too!! This is the Passback Sports Training Football. It is really cool! We have so many athletic kids in our family. This is the perfect thing to keep them sharp in their downtime. I got the composite small passback. This is the size for 5yrs old. I wasn't sure how this would work since it is not a full sized football. After we added air to it, it felt like a real football by its weight and grip. Throwing it, it throws just like a real football. It bounces right back. Throwing it feels real, catching it feels real. It takes all of the frustration out of solo practice. If you would like to see the other sponsors and the awesome products in our Holiday Gift Guide Click Here. The reviews are coming in by the day! !